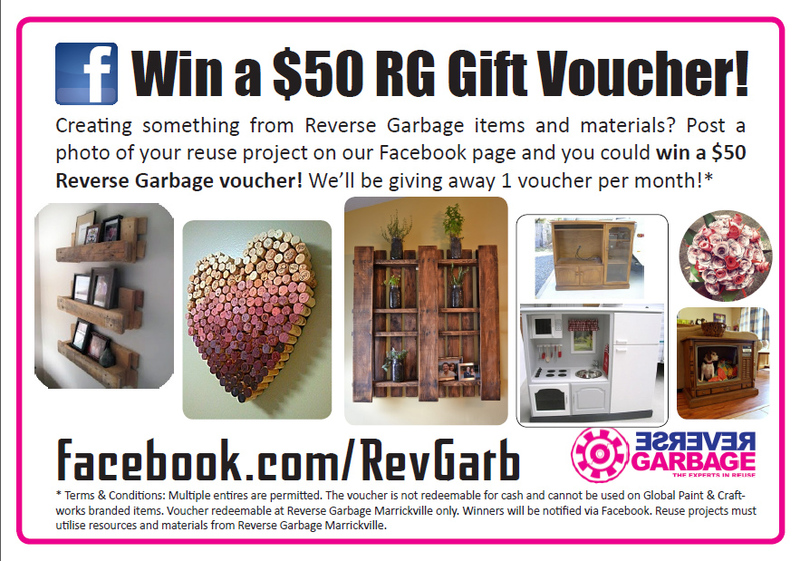 Would you like to win a $50 Reverse Garbage Gift Voucher? Well, we’d like to see your REUSE in action! Reverse Garbage will give away a $50 voucher each month to the winner of the best/most creative example of a reuse project you’ve made using reuse materials sourced from our Marrickville warehouse. Be as creative as you like, but be as honest as you can – projects must utilise Reverse Garbage materials to go in the running. Honesty is the best policy! Winners will be contacted via reply to their entry submissions. One winner will be chosen at the end of each month by Reverse Garbage. Fun Fair Photo Wall Made By RG Up For Grabs! Support reuse – RG ReStore items at Reverse Garbage!